Mt. 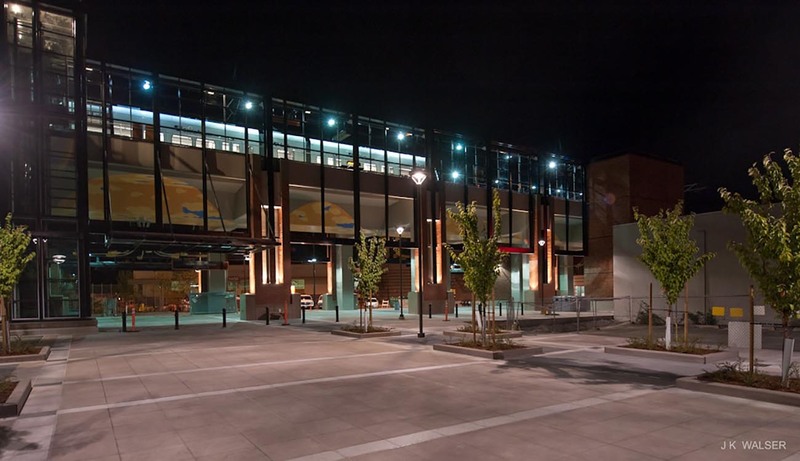 Baker Light Rail Station, 380' x 50', 19,000 sq ft.
Skywithin is a project for an aerial light-rail station in Seattle. 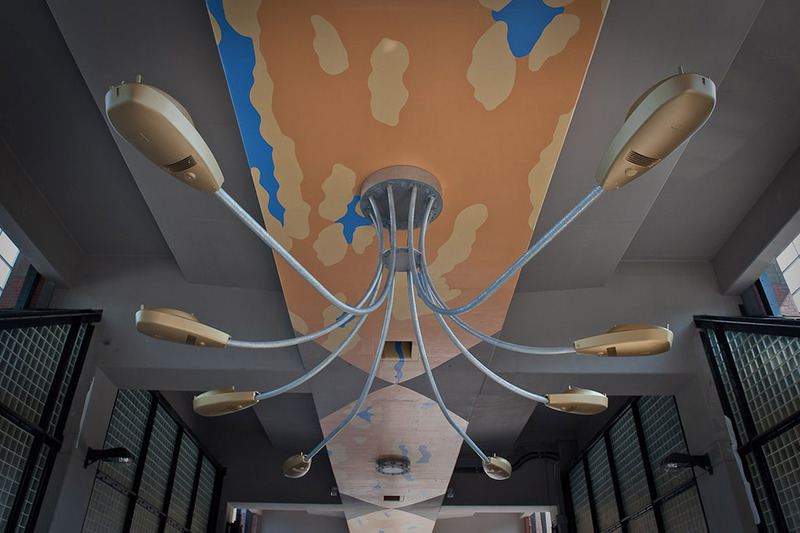 Located under the elevated guideway, Skywithin creates an atmosphere from light and color that creates graphic weather on a painted architectural surface.The concept was to use a combination of a paint and a series of chandeliers to create a contemporary grand corridor. 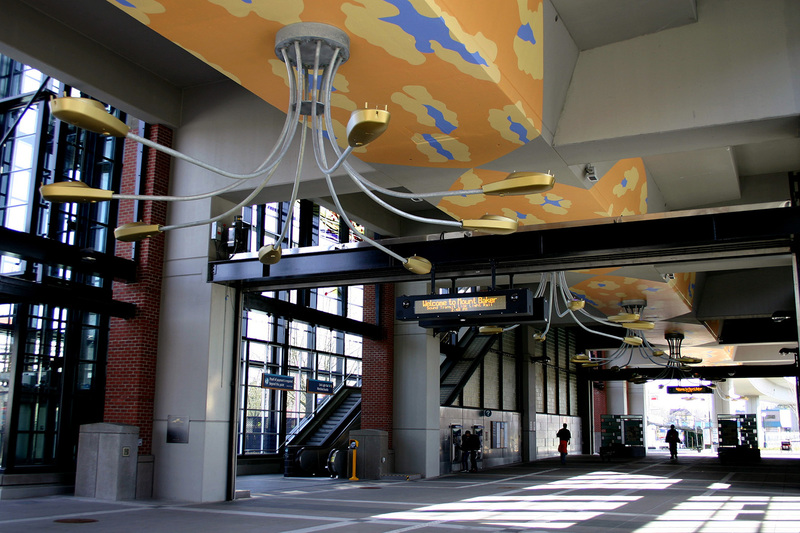 The sculptural chandeliers made from cobra head street fixtures hang beneath an urban camouflage painted on the underbelly of the guideway. 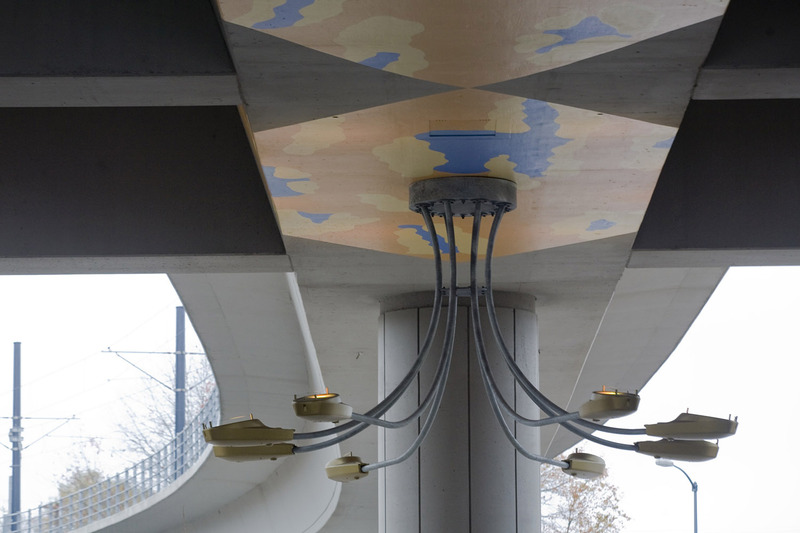 The upside-down cobra head roadway lights are filled with programmable LED fixtures that shine up on the structure . 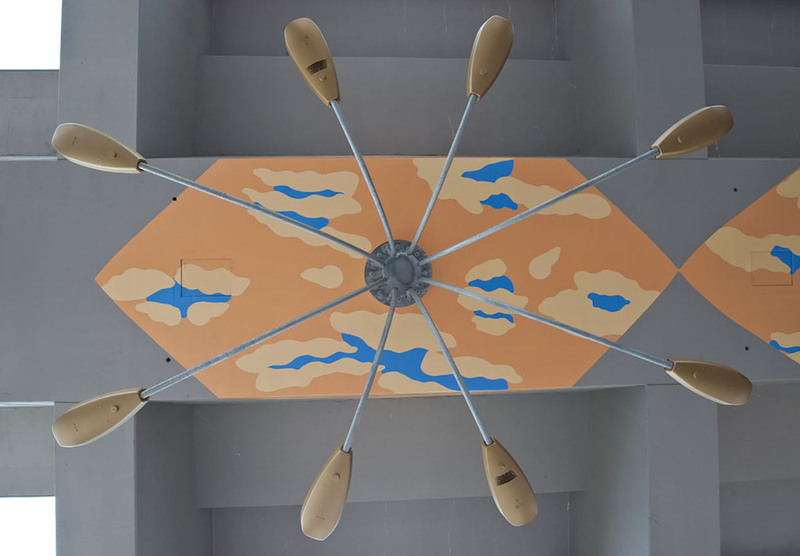 The artwork is an environment or atmosphere composed of changing color and light. 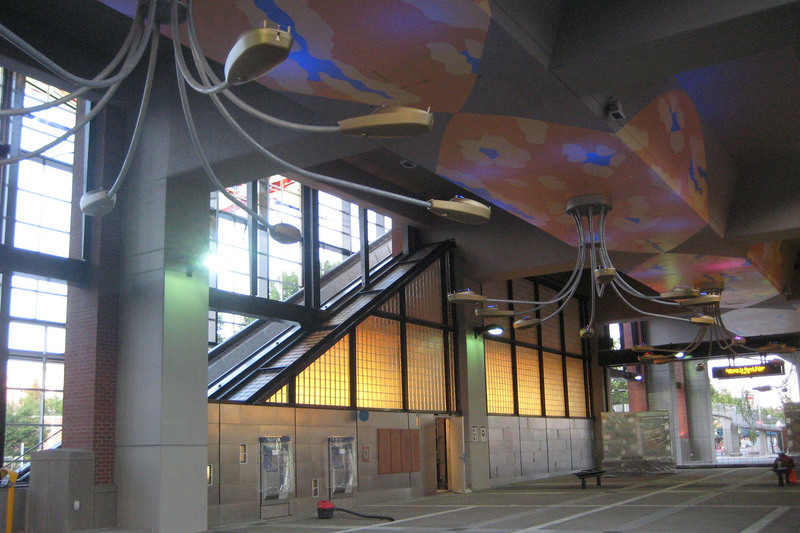 The installation provides amenities to the site by creating light, mood, and order. 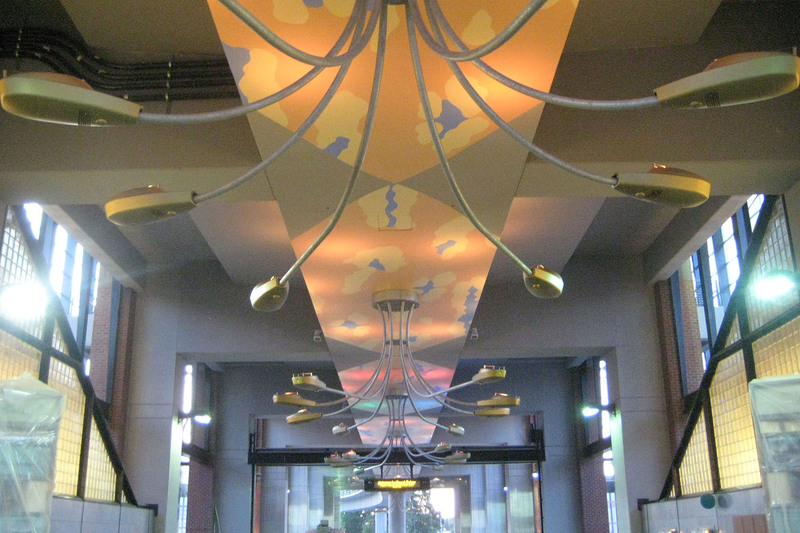 The galaxy of chandeliers visually threads the guide way together.The guideway is an arcade within which to place a sky. 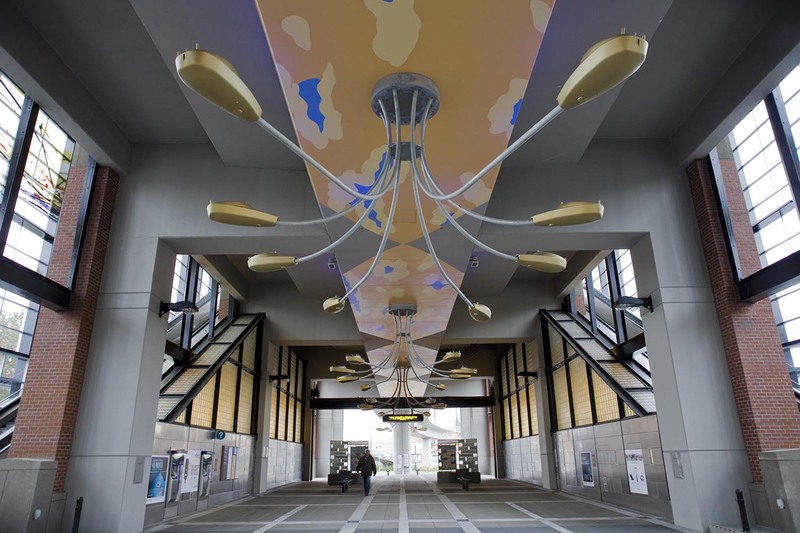 "Working with the underside of the guideway, artist Sheila Klein brings light, color, and form to the concourse of the station."